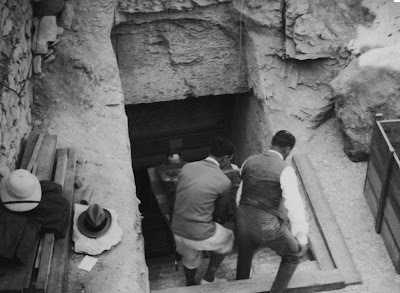 At around 10am on November 4, 1922, an unknown and slightly prickly archaeologist was working with his team to clear away some rubble close to the tomb of Ramses VI, the twentieth dynasty pharaoh who ruled Egypt during the twelfth century BC. After five years of toil in the Valley of the Kings, the vast desert funerary complex close to modern day Luxor, Howard Carter had little to show for his relic-hunting efforts. Time was running out, and Lord Carnarvon, his benefactor back in Britain, had reluctantly granted him just one more season to come up with something spectacular. In the mid-morning heat exactly 90 years ago today, it arrived. As Carter and his men cleaned up the debris near some ancient stone huts, they inadvertently stumbled upon the steps leading down into the tomb of Tutankhamun. The unprecedented find – the first time a royal burial chamber had been found containing all of its treasures – triggered a wave of Egyptmania in the West and cemented Carter’s place in history. Yet although Egyptologists initially hailed the discovery for the unique insights it provided into ancient burial rites, the tomb itself has not fared well since being prised open after 3000 years of regal isolation. Decades of mass tourism has taken its toll, with the fluctuating humidity levels from thousands of panting visitors causing the elaborately painted plaster walls to peel away from the bedrock. 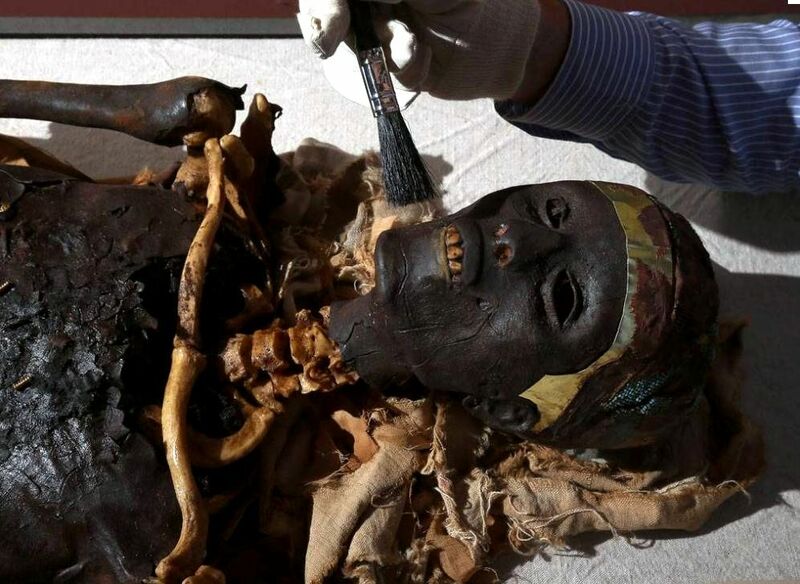 Egyptian officials have announced that the burial chamber is in such bad condition that it will have to be closed. Instead, visitors will be able to pay to see a replica of the tomb – a perfect facsimile which has been painstakingly created by a British artist, Adam Lowe. “It is disastrous what is happening in Luxor,” said Mr Lowe, the founder and director of heritage preservation company Factum Arte. “The truth is that the tomb was never meant to be visited. Working alongside a Swiss-based conservation group, Mr Lowe and his team were granted permission by the Egyptian authorities to create facsimiles of three tombs in the Valley of the Kings, including that of Tutankhamun. Using 3D laser scanners to create high resolution copies of the site, the images were then moulded, cast and completed by hand over a period of two years to develop a near-perfect replica. Mr Lowe said the ultimate aim of the project was to encourage a sustainable tourism industry which safeguards Egypt’s monuments for future generations. Egypt’s tourism industry is a major part of the country’s lifeblood, employing around 12 per cent of the national workforce and generating more than £6 billion a year. The money received from “tomb tourism” is particularly lucrative – a phenomenon which can be attributed in no small part to Howard Carter’s sensational discovery back in 1922. As a measure of how Tutankhamun’s legacy in the 21 century far outstrips his relative historical significance, a British Museum exhibition back in 2007 generated an estimated £51 million for the Egyptian government. Officials are therefore understandably anxious to get their new initiative right. The replica created by Factum Arte is due to be unveiled in central Cairo on November 14. It is still not known exactly where it will then be placed, though previous plans involved opening an exhibition near Howard Carter’s house in Luxor along with two other still-incomplete facsimiles – those of Seti I and Queen Nefertari, a wife of Ramses the Great. But given the turbulence of Egyptian politics over the past 18 months, there appears to be confusion over exactly how to proceed with a proposal now being dubbed the “Valley of the Replicas”. Egypt’s new Tourism Minister, Hisham Zazou, told the Independent on Sunday that although Tutankhamun’s tomb might be closed at some point in the future, no such action was needed now because of the drop in tourists following the revolution. “When the visitor numbers go back up then we will have to make a decision,” he said. In addition, at a recent meeting with the Society of Friends of the Royal Tombs of Egypt, the Swiss foundation backing the project, Egypt’s new Antiquities Minister, Mohamed Said, expressed his opposition to using facsimiles – though a source said this was possibly because he had not been fully briefed about the scheme. Mr Said’s office told The Independent on Sunday he was unavailable for comment. Howard Carter, one of the most famous names in Egyptology, felt he never got the recognition he deserved during his lifetime. Occasionally obstructive to his Egyptian hosts, many in the British establishment believed he needlessly exacerbated tensions during a febrile period of anti-colonial upheaval.